No worries, I will review the new Dark Cove soon. I have both the Committee Release and the “normal” Release as a sample here, but so far I didn’t have the time to taste them. 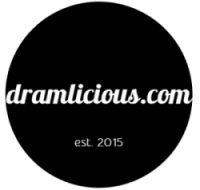 So in the meantime, let’s review some older releases from Ardbeg. 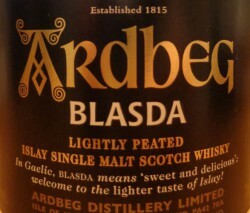 The first one for today is the Ardbeg Blasda, which is Gaelic for “sweet and delicious”. Only 8ppm (in the spirit), chill-filtered, bottled at 40% ABV… Well, it’s never a good thing to judge a whisky by its label, but this doesn’t sound really Ardbeg-like to me. Light, very light indeed. Surprisingly some peat smoke and ash, very little but more than expected. Rather fruity with green apples, fresh lemons and some kiwis. Small hints of salty caramel and vanilla. A tad more smokey and ashy now, but not a lot. All the fruits are back plus some peaches and lemon zest. Short and fruity. Pretty lemony with hints of peat smoke. Yeah…not really sweet, but definitely not un-tasty. A decent enough dram for summer I guess, but nothing special in my books. I’m simply not a big fan of this lighter than usual style.